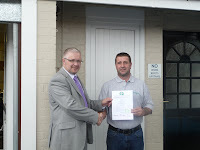 GQA Acting Chief Executive, Mick Clayton, and Laurence Hicks, Divisional Manager for Latium Building Products, attended a presentation at Ultegra Services Ltd, where Ultegra installers received their GQA Level 2 NVQ Certificate in Domestic Fascia, Soffit and Bargeboard Installation (QCF) and Q-Cards. 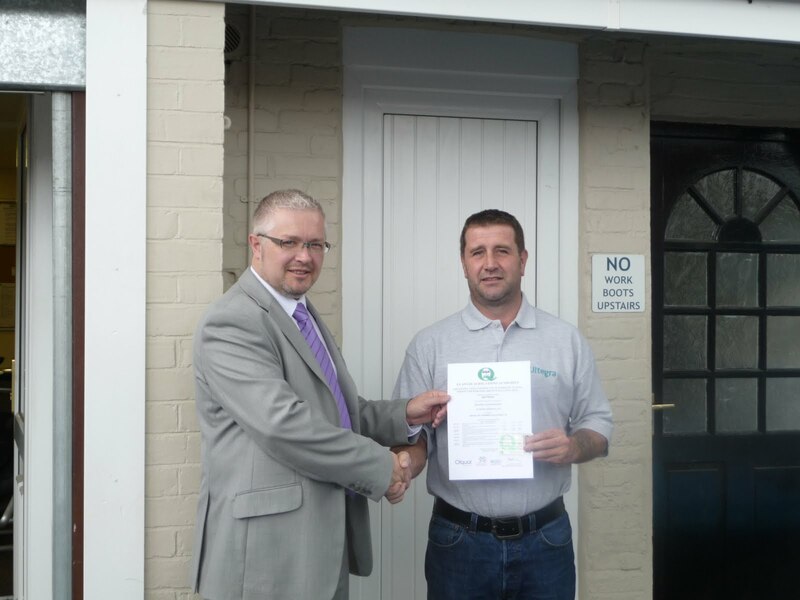 The qualification programme, being delivered by Mike Smith of Absolute Training Services in conjunction with NW Training, is linked to the Kestrel Registered Installer Scheme, an NVQ training and Accreditation Scheme designed to give Kestrel registered installers formal training in fitting roofline products, legislation affecting the products they sell, and more specifically the benefits of installing products from the Kestrel range. The scheme also offers installers a great point of differentiation from competitors because it means they can offer homeowners the all important peace of mind in the work they are doing, as well as the products they are installing.